How would you feel if you turned to crowdfunding to turn a small project a reality, hoping to get a few thousand dollars... but got over a million instead? It would seem like a dream come true... unless it can also become a nightmare, as the Pine 64 creators share with us. Though it's only visible to backers, the Pine 64 creators (a small, Raspberry Pi-style computer) decided to give us a glimpse of how thing are from their side. The project hoped to get $50,000 and sell between 5 and 10 thousands boards; but ended up with over 45 thousand board sold and 1.7 millions. The problem is that this volume requires a complete different set of... well... everything. Most people won't realize what things in the "thousands" represents. Let's say you just have to put a letter, taken from a printer tray, fold it, and put it in an envelope. Let's say you can do the entire process in just 10 seconds... now, you need only realize that, to send 45 thousand letters, you'd need to do that for over 15 days, working 8h per day - instead of the 2-3 days that were initially planned. To make things worse, even though the project isn't that delayed, there have been people threatening them, to the point of having the police involved. And keep in mind, we're talking about a $22 investment. 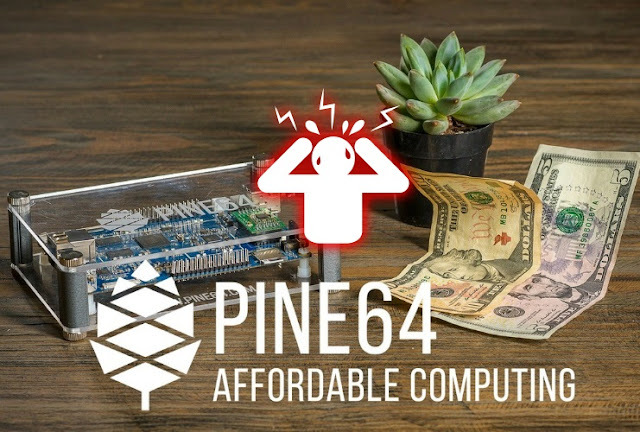 I've been burned in fraudulent crowdfunding projects before, and I'm a backer of this Pine64 as well (which, according to the latest info, should be about to send me my board in the coming weeks). But, this serves to prove that even "successful" projects can become a nightmare. So, if you're thinking about resorting to crowdfunding... be sure to know what you're getting into, should you get more that you asked for.